The buildup for Avengers: Endgame is so intense, some fans may or may not be hearing things that aren’t there. New teaser footage released by Marvel Studios this week has audiences’ hairs standing on the backs of their necks. 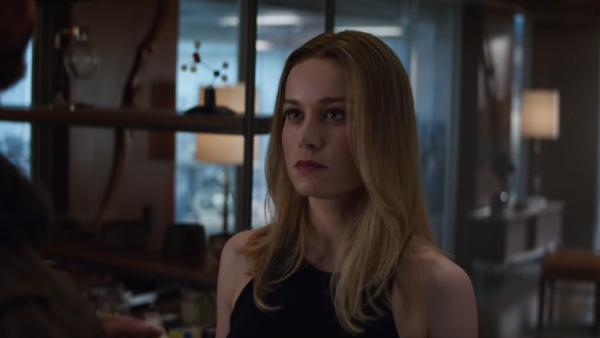 The clip, which shows a moment between ‘Carol Danvers’ and ‘Thor’, seemingly contains a creepy audio snippet around the 0:48 mark. Fans swear they can hear, “I have telepathy,” being whispered. The revelation has been discussed widely on subreddit ‘r/MarvelStudioSpoilers’, with viewers wondering who could be uttering the phrase. However, the theory has been quashed by some users of the site, as well as by Inverse. The publication suggests that the “whisper” is just a combination of ‘Thor’s breathing and the sound of his footsteps, and that it could just be an audio illusion akin to the viral ‘Yanny or Laurel’ phenomenon. Further, neither ‘Captain Marvel’ nor ‘Thor’ has telepathic skills. The topic on telepathy is also irrelevant in the tense scene between the two. Some Redditors agree with the debunking, attributing the “voice” to the power of suggestion. One user claiming to be a sound engineer says they dissected the clip and found no line of dialogue in the segment. “I’ll have to experiment further, but this is DEFINITELY human pattern recognition,” the user writes. Then again, there’s a possibility this is one of the ruses the Russo brothers have adopted to throw people off, as they have confirmed to have tampered with some of the film’s early footage to make sure almost nothing is given away. Fans will have to wait until Avengers: Endgame, Marvel Studios’ final installment for the Avengers franchise, to hit theaters on 26 April to have their questions answered.